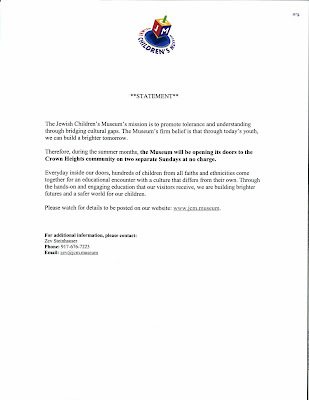 I've read your blog post on The Jewish Children’s Museum’s mission is to promote tolerance and understanding.I was looking for some blog to read as regular basis. and finally found your blog that has really nice contents on this topic. so I hope to visit and share your post with my Facebook friend too. It's always my pleasure to read this type of stuff.I am very much interested in these types of topics from childhood and it's my habit to read this. You always had interesting information, maybe it's time to update your blog. It is a very nice post. Thanks for sharing a very nice post. Amazing topics from childhood . Thanks for share this post . This post is very interesting and informative blog . I also bookmarking this post .